The Io is the moth with the very beautiful and very dangerous caterpillar. Click here for information and photos of the Io’s life cycle. Host Plant(s): The Io has over 100 known hosts: I’ve raised them on Cassia and on Powderpuff. Nectar Plant(s): None. Really! 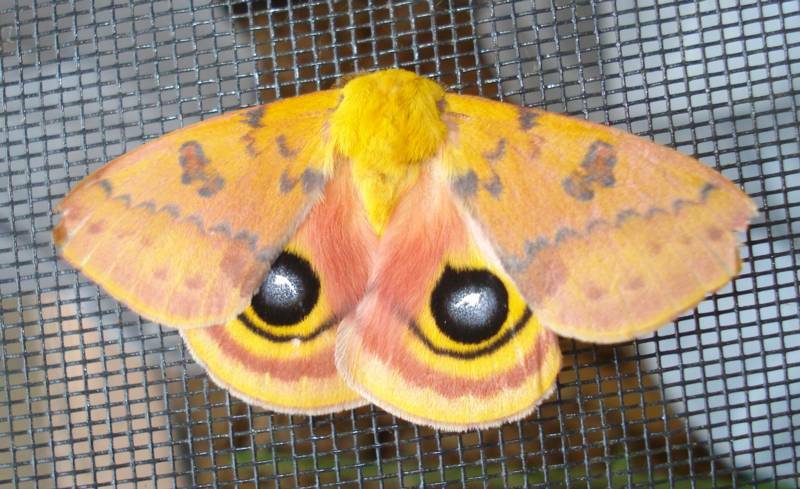 In moth form, the Io does not eat. 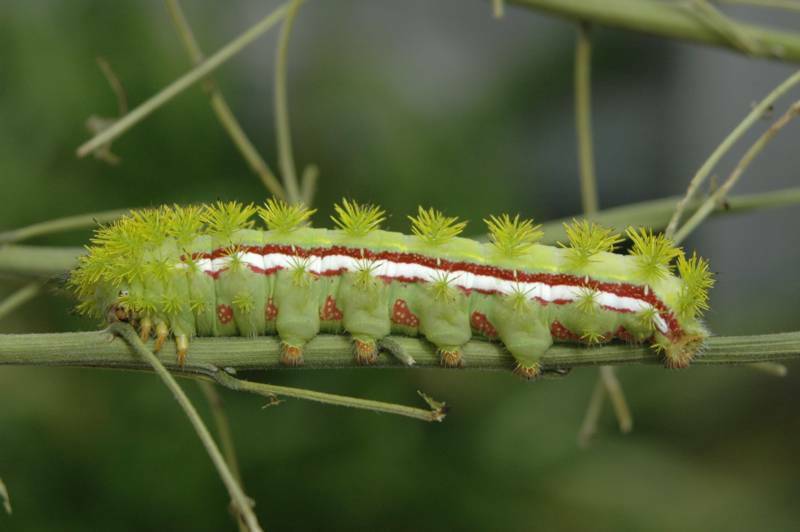 It lives (for about a week) on body fat that was stored up during the caterpillar stage. The moth exists just to mate and lay eggs. 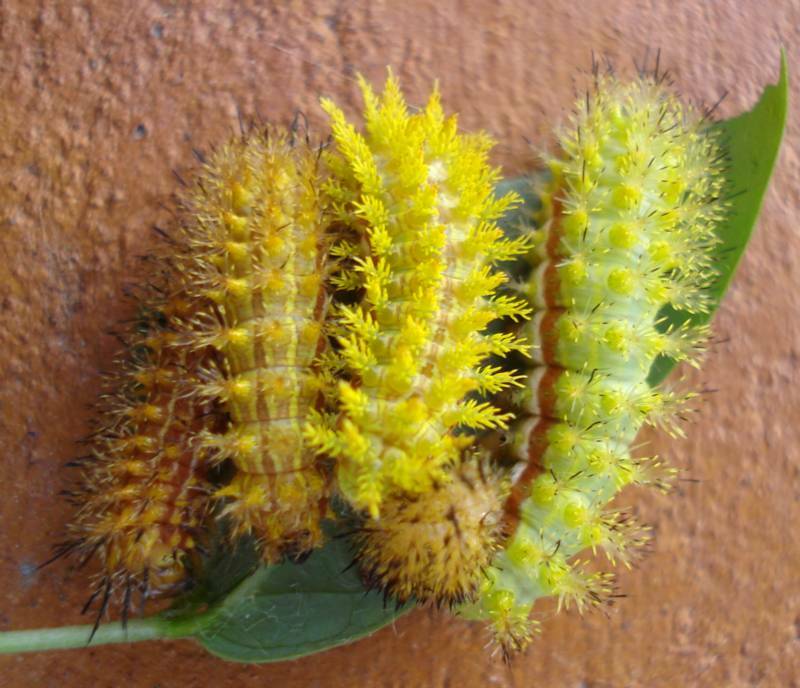 The two caterpillar photos, and the one moth photo, were all very, very, very, beautiful!!! Daniel.